If you would prefer to play on a particular day and before or after certain times, please state this on the entry form. Whilst every effort will be made to accommodate such requests, this cannot be guaranteed. All entrants resident in the UK must be Full (not Social) or Junior members of the LRTA. LRTA tournament rules will apply and all on court clothing must be predominantly white. Throughout the Championships the club bar and restaurant will be open at the usual hours. The LRTA AGM will be held at Seacourt Tennis Club on Saturday 9th April at 6.30 pm before the Championships Dinner at 8.00pm. Please complete the online entry form below or download a printable version of the entry form by clicking here and send this form when completed with payment to Viv Dawes, (address in the LRTA Membership Book) not to the club. Payment can be made by cheque (payable to the LRTA) or online to: Ladies Real Tennis Association, Sort Code: 30-99-15, a/c number: 01208890, please use British Open as the payment reference. No entry will be accepted without payment in full. Closing date for entries: Sunday 13th March. The draw will take place at Seacourt during this week. Boxes marked with an asterisk are required information. If these boxes are not completed when you click Submit, they will be outlined in red and a message "Please correct the highlighted fields" will be displayed beneath the Submit button. When you have completed the highlighted boxes, click Submit again. When your submission is successful, the form will "disappear" and a message: "Thank you. 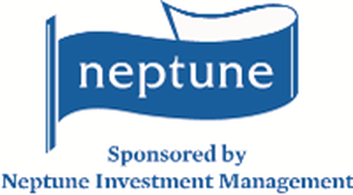 Your Neptune British Ladies Open 2016 entry form has been submitted." will be displayed. Once your entry has been received successfully you will be sent an email confirming all the details you have submitted.